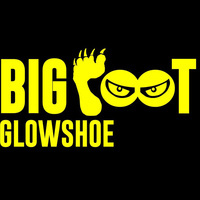 Michigan Tech Student Health and Wellness and the Outdoor Adventure Program are pleased to bring you the Bigfoot Glowshoe event for the second year. The 22nd annual Bigfoot event will be held on Thursday, February 7 at the Michigan Tech Trails from 7:00-10:00 pm. This is a recreational snowshoe event for both beginners and avid enthusiast, children and adults of all ages. It isn't a race, rather a great opportunity to get outdoors, get active and enjoy the winter weather with friends and family. Snowshoe the 2k trails at your own pace and enjoy the lights of the path and others out taking part in the event. To register, visit Michigan Tech Student Health and Wellness. Snowshoes will be available from 7:00 pm-9:30 pm (time slots will be assigned during registration), we ask that parties be mindful of time and keep to their assigned schedule. Included in the registration fee is a snowshoe rental for the evening, glow sticks, chili provided by Michigan Tech Dining Services, access to the marked trails for the evening, warm beverages and a glowing awesome time! Bigfoot shirts are available for purchase on or before Tuesday, January 29, 2019 at 10:00 pm through the online registration system. Online registration will be open until Thursday, February 7, 2019 at 10:00 am.